An in-house "free-of-charge", or on-site initial inspection and report is issued with estimated price and delivery. We will give a fair appraisal and discuss with the client the best line of action. 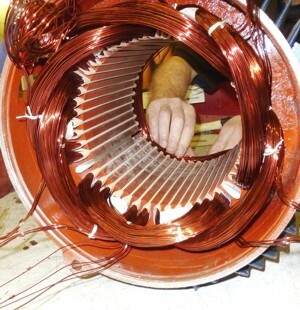 Sometimes it is less costly to buy a new motor rather than rewind or repair. All customers' motors are tracked and treated with care from the moment they are received to the moment they are delivered. The vast knowledge and experience of our workshop engineers ensures that we have solutions to the motor problems that customers bring to us.